I have done some crazy things in my life. In the photo above a baby deer nurses off of a goat. We had this whole deal going on last year. Our grandson saw the baby’s mother get hit on the road and killed. I was sure the little thing wouldn’t make it, but I was wrong. We got the little fella nursing from the goat. He did very well and the goat didn’t seem to mind. It was much easier than messing around with bottles and milk replacer. The deer grew well on the goat’s milk too. He nursed for about 80 days. 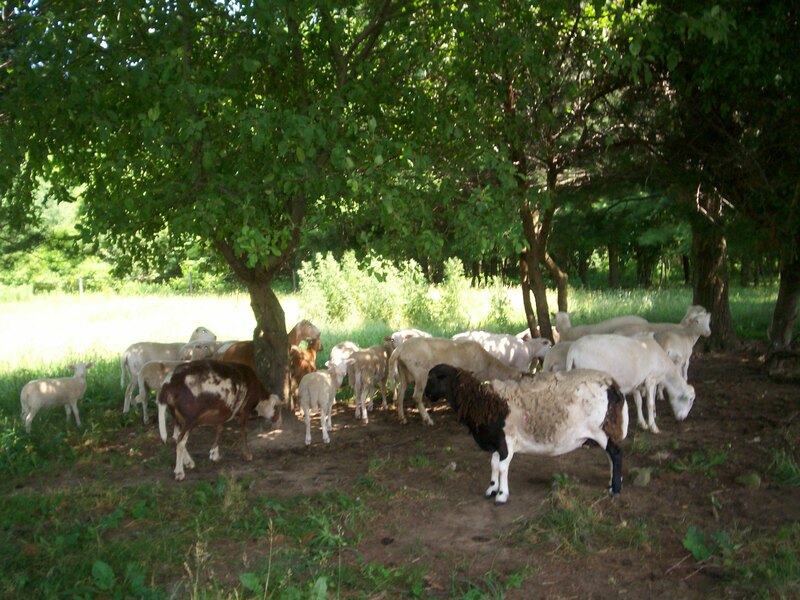 They spent most of the summer in our pastures … well the goat did. The deer went where ever it wanted, leaping our fences in a single bound. One day he leapt over the fence and was gone. One winter day a friend and I were sled riding. We built a tunnel from a snow drift on the side of the hill. Just before we were done for the day, we tried to go through the tunnel at the same time. We didn’t use sleds. We just jumped into the tunnel on the side of the hill at the same time. We were stuck like a cork in a bottle. We were quite a ways from home and it was getting dark. We couldn’t move our arms. They were stuck fast. It felt like we couldn’t breathe. In a panic, we started kicking and thrashing around. At first it only seemed to get us more stuck, but then the packed snow drift tunnel broke apart. I have been claustrophobic ever since. That was a crazy thing, let me tell you! Another time a friend and I went scouting for turkeys in the southern Ohio mountains. I guess they are only hills, but they felt like mountains by the end of that day. We were in unfamiliar territory and left our map in the truck. We were only going to be a little while and there was a path anyway. Some how we got turned around and walked twelve miles or so in the wrong direction. We didn’t have water and were wearing warm clothing and big boots. The day became very hot. We took off what clothing we could and kept walking. We did get back to the truck. The whole day was gone. We were overheated with swollen feet and damaged egos. This may actually be in the “stupidest” things I have done category. I knew better, but made a dumb decision anyway. Thankfully, I surround myself with good friends and people who love me. They overlook the crazy things I do. They listen to my ideas, like selling ice cream from a horse-drawn wagon, and say things like “aw huh” or “maybe”, but not many say “forget about it!” Some even share my crazy dreams. Today is Memorial Day and I will pause to remember and to thank the veterans who have served our country. 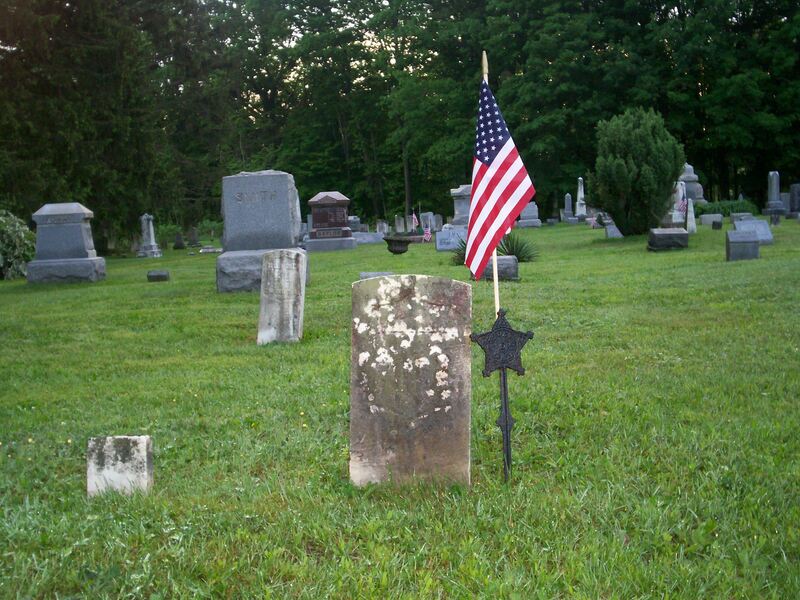 In our little country cemetery just down the road, the flags stand proud, paying tribute to the men and women who served. The silence was deafening as I stood among the large trees and thanked those who died helping to preserve the freedoms that I enjoy. Today is also a day where we pause to remember people we have known along with family members who have left this world. I will not be sad today because I will remember all the good memories from those people who have touched my heart. Some scars on my heart have not healed, some are barely visible , but all of them are badges of honor. To have been touched by someone who left a mark on your heart is a divine gift. Many people have never known the wonder of true friendship or felt the wonderful pain of love. I have been fortunate enough to have known both. I am a better man for the bumps, bruises and marks upon my heart, left there by folks who loved me. It has shaped my life and defined me as a person. I am filled with reflections, fond memories and the resolve to make more memories with the people I touch, by deed, word or prose. Celebrate your life and those that you love. Remember the people who have made a mark on your soul and be the person God wants you to be. There are two who died to make me free, one is Jesus Christ the other is the American soldier … I hold them both dear. Because I got this tractor as part of my inheritance when my mom and her husband died, I wanted it to have a special purpose. My uncle Fred and I made it to buzz wood for the sugarhouse. Fred designed and built a buzz saw for it from an old arbor we got at a garage sale. It is belt driven, plenty powerful and works great. When we got it out this spring, we had two flat tires and air would not stay in them. We decided to replace the old tires. This seemed like a pretty easy task, not to mention something to do in this rainy weather. It has turned out to be a nightmare that now has become funny. We took the rear wheels off and dropped them off at the tire repair place. I hadn’t even left the parking lot when one of the guys came out and told me that the rims needed repair. Many years of calcium in the old tires had taken its toll on the steel rims. The salty brine had eaten through the rims in a couple of places and the major part of them was covered in rust. We messed around for 4 hours trying to get the rims back on. We, of course were doing it in the gravel driveway. The gravel dug into our knees and backs while the sun beat down sucking all the moisture out of the wet ground and making steam rise from soil and men alike. Unk and I exchanged cuss words and remarks about the sharp gravel, but kept trying things until we were out of ideas. 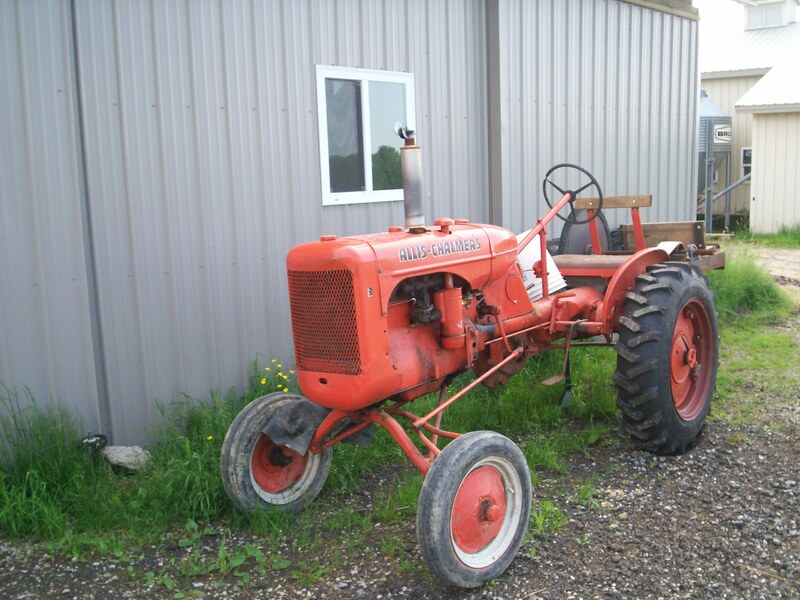 I went to the internet, found an Allis Chalmers forum where guys discussed problems with the old tractors. I found section after section about our very problem. Many guys before us had rolled around in the driveway testing skin, knees and patience while trying to get the rims to fit. No matter what they tried, just like us, the result was the same. The rim was too big for the hub. The old clamps wouldn’t tighten down. The answer was that the sandblasting takes away enough old rust ,scale and crud that you have to either shim the rim or weld a small bead in each clamp. Unk and I felt better for having the answer, but were tired enough to say to heck with the repair until next week. We have about two full working days, 180 miles in my truck and the $544.06 invested so far. That total does not include wear and tear on our egos, ripped jeans and sore knees. All of this to fix a little tractor that has one job and will be used a half-dozen times per year. We may have to find more jobs for it to do! The lady we got her from said she was a lady’s dog, but Lucy fell for me and is my constant companion. I love her too. She knows all the daily routines and makes sure every animal does what it’s supposed to do. She works them while watching over me. We are bonded. Our family is large. My wife and I are each in our second marriage. She had five children and I had two. Nineteen years ago we decided to blend our brood and is has worked out very well. We had bumps and jolts along the way, but not any more than other families share. We are all bonded to each other, look out for each other and love one another. The twin lambs that we have been bottle feeding have had a twist of fate. The little ram lamb went to another farm to become part of their breeding program in time. The little ewe lamb is here. I didn’t want her to be lonely. I put her in a pen in the pasture with the rest of the flock. A red ewe stayed nearby and her single white lamb rubbed noses with the bottle baby. The little white lamb jumped and played outside of the bottle baby’s pen. I decided to put the bottle baby with the rest of the flock after the introduction had been made and several days had passed. This morning I went ti feed the baby and she wouldn’t come. I walked the pasture for quite a while fearing the worst. After a bit of time I discovered the little lamb nursing off of the red ewe, the little white lamb on the other side and both wagging tails for all they were worth. I will say that they are bonded. The little family stays together, plays together and looks out for each other. I am sure if sheep love each other, that they are bound by the ties that bind. The ewe in the foreground is Persephone. 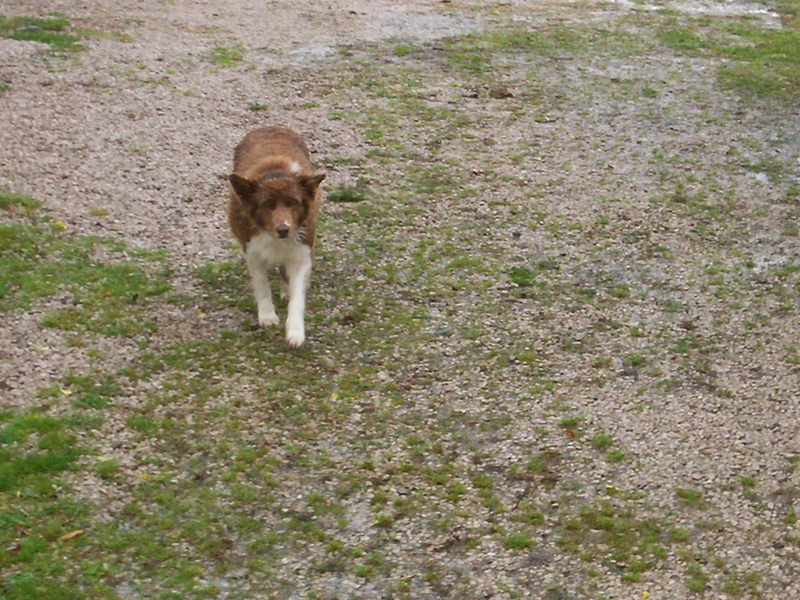 She leads the flock and comes when I call her. She makes moving sheep a very easy task. She has been my helper for ten lambing seasons. She is an old lady now, who still commands respect, yet seems to love her flock. I was helped out by many older teamsters when it came to horses. I was taught to plow by a couple of guys. Others taught me the skill and art of logging. One looked after me like a son and shared many insights that he had learned over time. I am grateful to these men, most of whom have passed from this life to greener pastures and divine horses where furrows are always straight. I too have taught a few people, some purely by accident. This morning I got an e-mail from my nephew. He lives outside of a city in a quiet neighborhood. He just started to garden, is raising fish and even a few laying hens. His heart lies in the country too. He thanked me for teaching him not only how to do things, but also to love what you do. His fish provide an aquaculture that waters his garden through a sort of gray water system. The water nourishes the plants, gets filtered and then goes back into the fish pond. I didn’t teach him that cycle, but did try to impress upon him the cycle of life. I didn’t sit my nephew down and cram his head with farm ideas and lessons. Instead I had him stay with us a few summers where he did chores, baled hay and shoveled manure. He played in the woods, helped build a cabin and learned to be a man. I am proud of him. Our last real visit was while he was on leave from the Marine Corps. He now is a husband, a daddy and going to school to further his career while trying his hand at urban farming. Just as Persephone leads my flock, I try to impart wisdom and confidence upon my farm’s visitors and family. Leadership and mentorship are best done quietly and confidently with a glad heart. I love what I do, so it is easy to share the positives, but I will also share the negative side. Life lessons are best learned when you don’t really know that you are being taught. I can’t say enough about all the good people who helped me along the way, so rather than try to talk about it, I share what I have learned to honor them. I urge my readers to share what you do best with someone you know. You will never know who you will touch or how far that person may go. My children have a great connection to the land and their food. They have a pretty good idea how to farm and in the best example of my mom, they also know how to walk the narrow path. When I drive my horses, I do talk to them and give voice commands, but there is gentle pressure on the lines. I guide them this way. It gives them confidence and security. I don’t pull on the lines. I hold them tight with just enough pressure to telegraph my thoughts. I think driving horses helped me to become a good daddy and pa-pa. The method is the same. When gentle guidance is used it gives the youngsters confidence in themselves and in you. It provides them with security, knowing that you are always there, even when the lines are not in your hands. 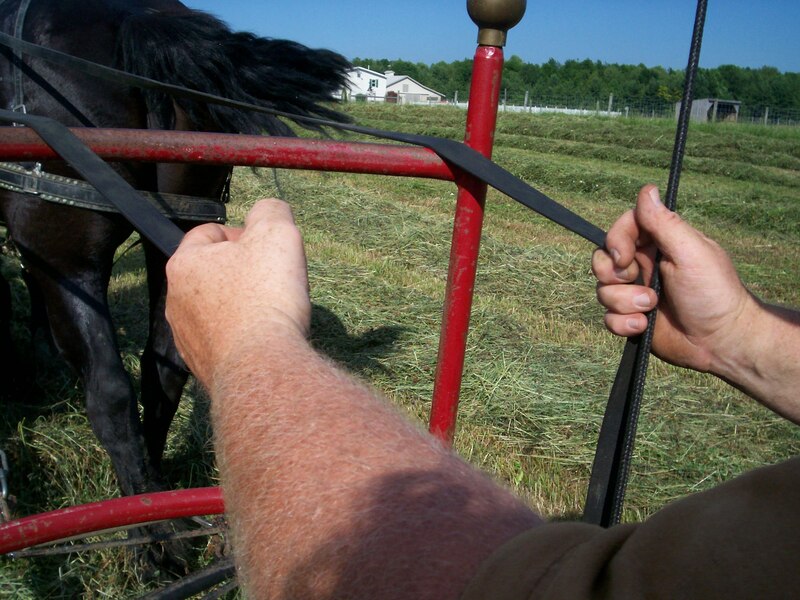 Holding the reins too tight is just as bad on young people as it is on young horses. They will begin to fight the bit, get strong willed and become a real handfull. Gentle guidance even when correcting bad behavior must be used. A slap on the rump builds character, but beating on anything will destroy self esteem, kill morale and instill fear. The idea is to train… not to break. The Bible says to train your child up in the way he should go and the Lord will make his paths straight. It doesn’t say anywhere to whip the crap out of him and break his spirit. Motivation by fear and intimidation doesn’t work very well and it doesn’t work for very long. Men and animals will resist this type of treatment some to their own deaths. I am not a push over. I define the boundries and explain what is expected. I then guide my charges through whatever the task may be. I expect them to do their share, pull their load and stay within the confines I have set. I will praise them with deed and voice and soothe them with a soft hand, building confidence every time a task is completed successfully. I show deep appreciation and love, it is not a weakness… it is a strength. I have raised sons and daughters that don’t spray paint buildings or mug little old ladies. I taught them to work and even enjoy it sometimes. I taught them to live inside the lines and to love with all their heart. I helped them to learn problem solving by using logic mixed with a little emotion. I have trained some good horses in my time too and those very same horses have trained me. I influence my grandchildren and have helped raise some fine young people. They may all say that I was tough sometimes, but not one will ever wonder if I loved them. I won’t take all the credit, but like the dew on the morning grass, I was everywhere. Gently guiding them, if only by the little voice in their heads. I am humbled to have had a hand in helping to grow such wonderful people and honored that they care enough to call me dad, pa-pa and even Ralph. I was litteraly farming before I was born. My mother was just about done with the evening milking when I decided it was time to come and help. The neighbor boys finished up chores, while mom and I had our first meeting. She thought I was quite a guy back then and I am sure she still does now. My mom and dad decided they couldn’t live together as man and wife, so when I was a little boy they divorced. I don’t remember much about it, but am very sure this is why my grandparents looked out for me so much. They had a lot of influence in my life and make up many of my good memories. I enjoy farming. To say that is an understatement. I think that I must farm or I will wither and die. I have done chores since I could walk and hope to do them until I can’t. I like farm animals and can’t imagine a life without a dog. I think the animals know that I am a husbandryman. They can sense when I am around and even know my moods. Often this is good, but sometimes they will push my buttons on my worst days. I guess I know them too pretty well. 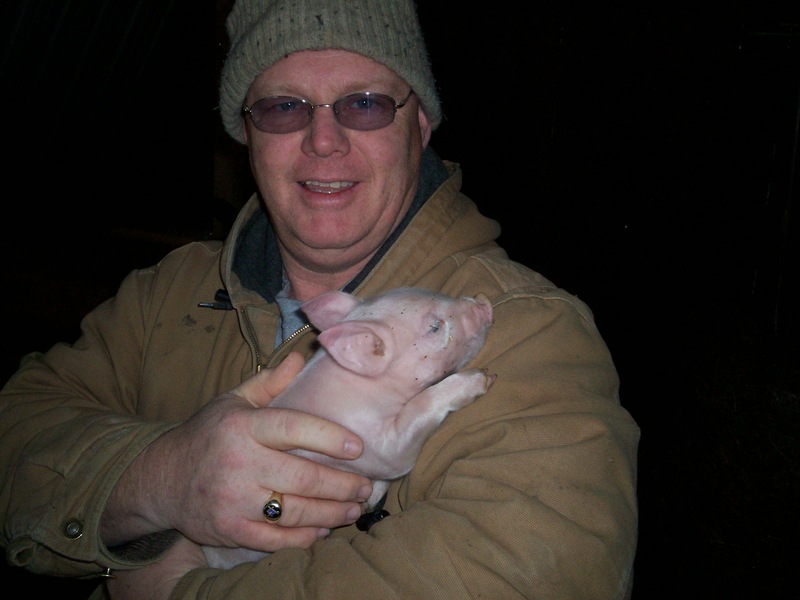 The mother pigs pay me almost no mind as I talk to them and handle their babies. The mares too will allow me to pet and imprint their foals without worry. I will not say that I speak their language, but there is for sure, a deep connection. I like to sit in the barn after chores, smelling the sweet hay and fresh straw and listen to the animals chew. It is comforting to me. The woods gives me peace and feeds my soul. The barn and animals give me contentment and teach me patience. Long ago they taught me responsibility and caring. Now, I guess, they continue to teach me nurturing and commitment. I will take care of them as long as I am able. I will ensure that someone will care for them long after I am gone as well. Between now and then, I will care and and tend to them, getting as much enjoyment from them as I can. I will also continue to learn from them and pass the knowledge I get, on to my children and grandchildren and others who want to learn. I was farming before I was born … funny…. but it’s true.